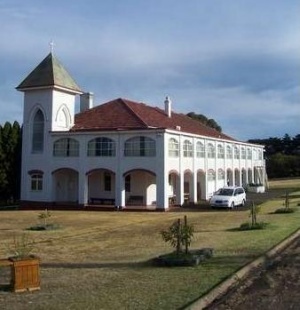 The Holy Monastery of Panagia Gorgoepikoos ("She who is Quick to Hear") is a monastic community for women in the Greek Orthodox Archdiocese of Australia. The monastery was established in May 1993. The abbess is Mother Kallistheni. The monastery celebrates its main feast day on October 1. It also celebrates the feast of St. Seraphim of Sarov (January 2) and St. George of Drama (November 4). The monastery takes its name from the icon of Panagia Gorgoepikoos, which is commemmorated October 1. 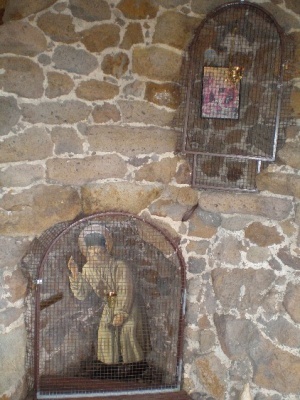 This is one of the best known miraculous icons of the Holy Mountain, located at Docheiariou Monastery. The monastery is situated approximately one hour, by car, from Melbourne and is in Lovely Banks, a seaside suburb of Geelong. Situated in the Monastery is an outdoor Chapel dedicated to St Seraphim of Sarov, where his Feast day is celebrated by a Divine Liturgy on January 2. The Monastery is on 17 acres of land. The Sisters keep beehives, olive trees, fruit trees, a vegetable garden and tend to a few animals. There is also a building that houses a coffee room and the Monastery Bookshop from where Orthodox literature (in Greek and English), handicrafts, bonbonniere and icons made by the Sisters may be purchased. Female pilgrims can stay at the guesthouse of St Anna and are invited to participate in the daily programme of the Monastery. February issue of Orthodox Contact. The last article is of a visit the monasteries of St Anna and Gorgoepikoos. This page was last edited on September 16, 2009, at 01:17. This page has been accessed 35,030 times.